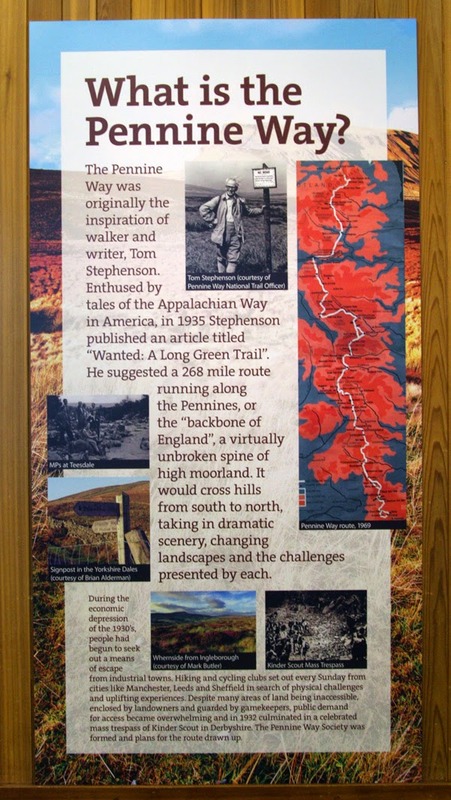 The Pennine Ways exhibition in the Dales Countryside Museum in Hawes will run until April 26, 2015. 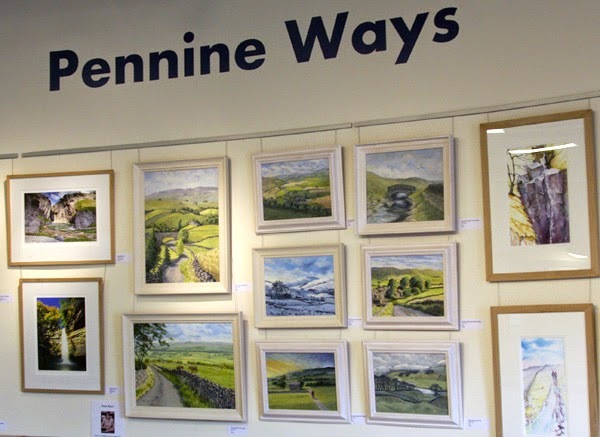 On show is work by local artists. 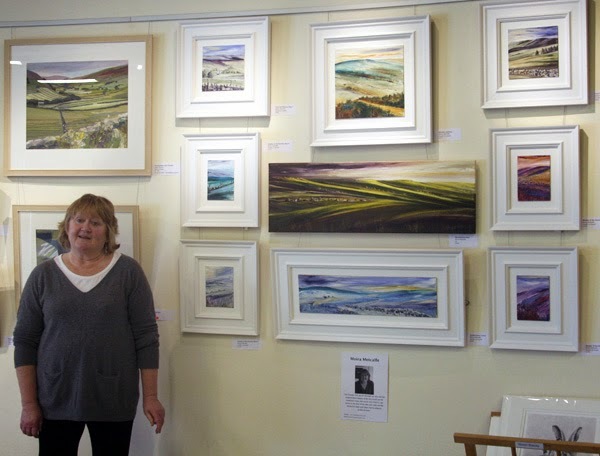 Here is Moira Metcalfe with some of her paintings. 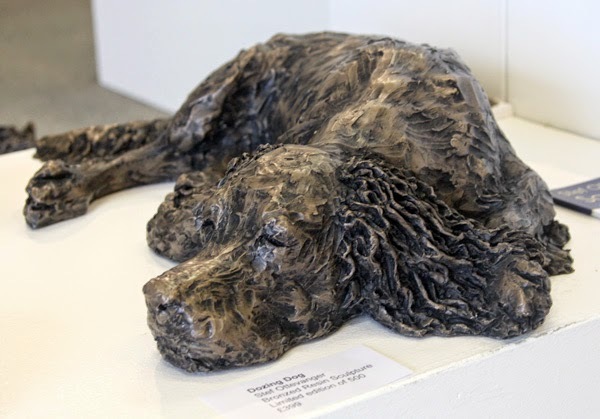 Stef Ottevanger's 'Animals with Attitude' are cast in bronzed resin. 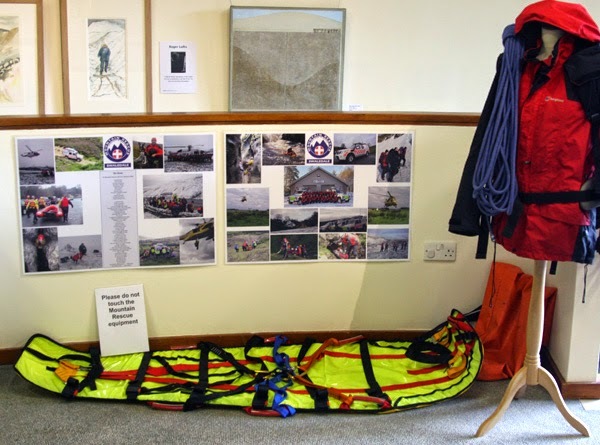 Aside from the artwork, other exhibits include this one, recognising the work of the mountain rescue. 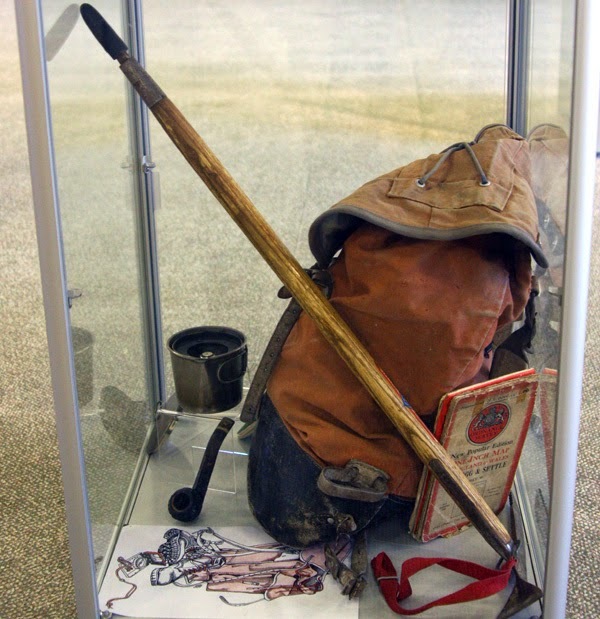 ... and the challenges it presents. 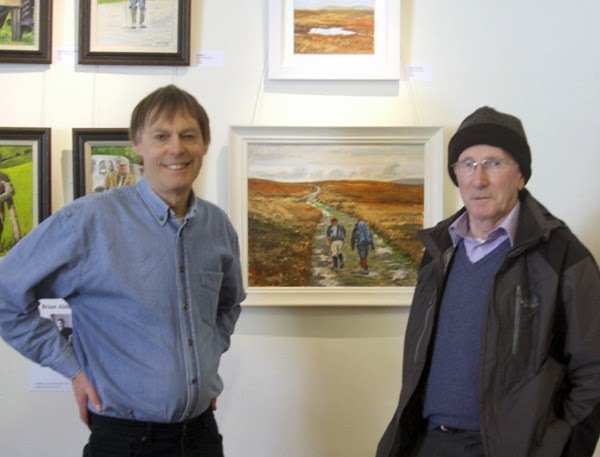 Alan Watkinson, here on the right with Brian, the exhibition organiser, walked the Pennine Way in 1981 with his son John. Now, at 79, he's still an active walker. 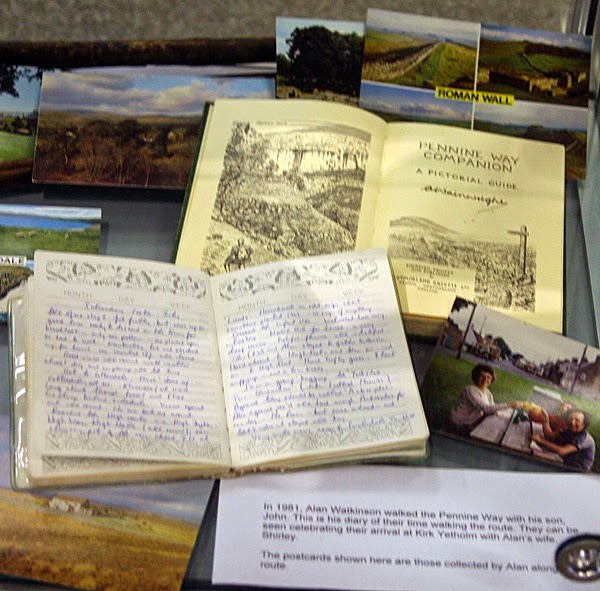 Alan's diary from his 1981 walk is fascinating! Truly a fascinating post!! These photographs are just incredible. 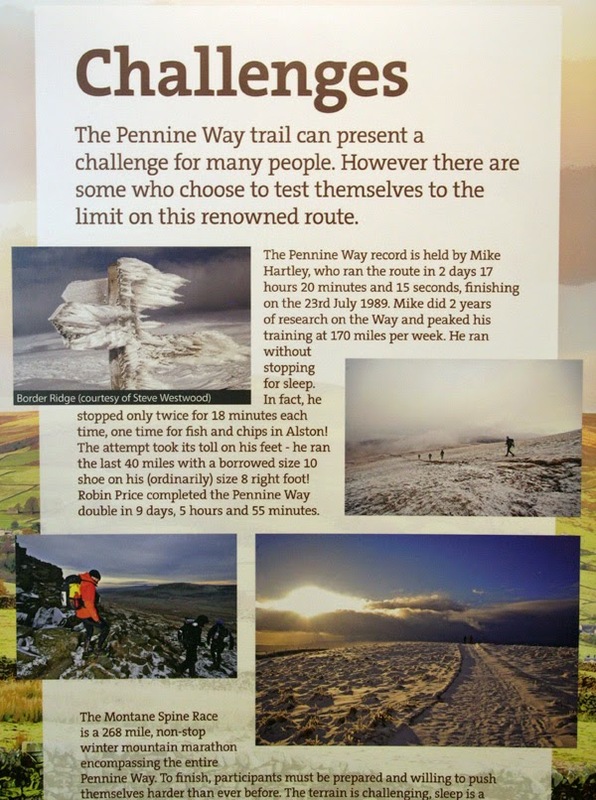 Thanks for this article concerning Pennine Ways exhibition. If you know about such a great event at gallery space for rent NYC venue then please inform me dear!